Dresses are EASY for summer! Whether you work outside the home or not…. 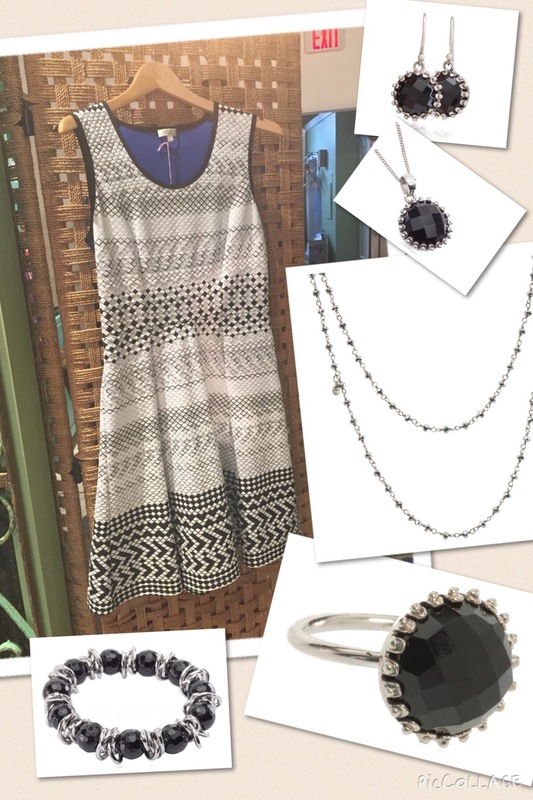 dresses are a fantastic staple for your summer wardrobe! They can literally be dressed up or dressed down with your accessory choices! Shown here with eSBe Designs Jewelry and you get a WOW look! Add a black handbag and heels and you’re ready for anything from work to dinner out! You can even add a little black jacket for a more professional look at the office! Simplify the look for a summer picnic and wear cute sandals and casual handbag and this dress takes you everywhere you want to be! Talk to a stylists or go shopping with a girlfriend you trust to figure out the most flattering cut for your figure! Once you do that, you’ll feel more comfortable and save time when shopping for dresses to add to your wardrobe! Have fun getting “dressed” for summer! Save Money while Booking your Summer Travel!